Catholic Volunteer Network, in partnership with Catholic Extension, is hosting Days of Service and Reflection all across the country in the dioceses where our Campus Recruitment Associates serve. As these events take place, we will share reflections from students who participate. 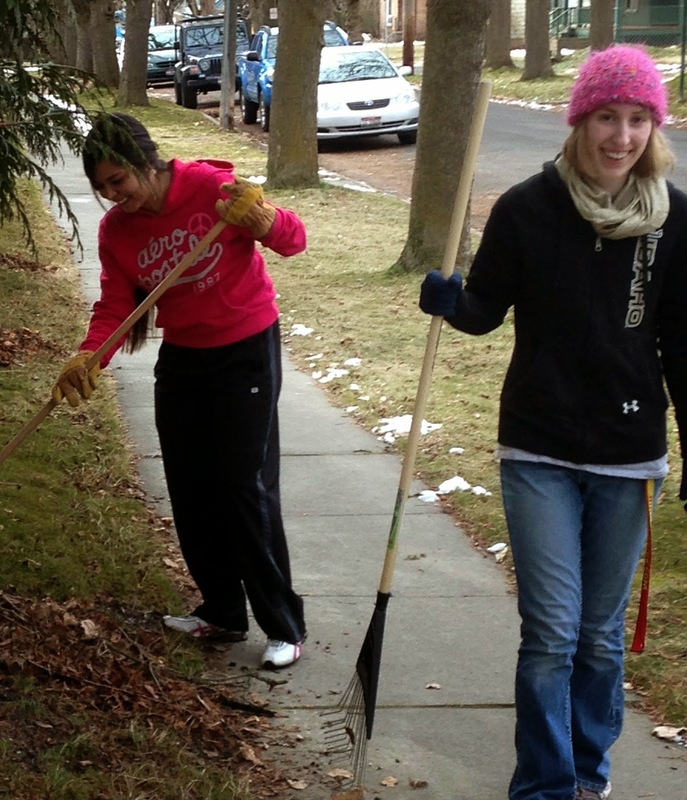 classes and studying there really isn’t much time for college students to facilitate many community service projects. So with the help of the campus ministry, the collective effort of students and organizations like Catholic Volunteer Network doing community service becomes a frequent and efficient way to help others. This semester I had the opportunity to join in Catholic Volunteer Network’s Service Day Project. I started off the day bright and early at 9:00am at the home of Maggie, a recently widowed elderly woman. I was joined by a couple of friends and Gordon Wong, a recruiter for CVN, and we helped clean Maggie’s house. Not only I was I able to help this woman, do chores that she was now ill equipped to do, but I also got the chance to interact with her. We talked about her quilting and she offered to teach me the skill. Sometimes building new relationships is one of the best parts of helping others, and I know Maggie and I both enjoyed that part of our day. After cleaning Maggie’s home, we all went to the nearby convent to rake leaves. There were over thirty students there helping out and in the end, we raked up a few truck loads of leaves. The Sisters were very delighted to have us there, especially Sister Delores who called us all angels. They fed us treats and we finished the job. Overall it was a great day, and what will always stick with me are the smiles of those we helped. Gabriella is a freshman at the University of Idaho and a member of the St. Augustine’s Catholic Student Community. She plans on taking quilting lessons from Maggie soon.